‘Big things come in small packages’. Truly, this is an apt adage for the infinite variety of fruits available to us. Fruits not only delight us with an awesome lip-smacking snack but they also offer great health benefits. One such fruit is the guava. Guavas belong to the Myrtle family and present themselves in round to oval shapes. They are typically tropical fruits and hence grown in most Asian countries. It is almost similar to that of a pear, which is green coloured and turns yellow to reddish when overripe. The flesh of most guavas is white or pinkish in colour and is normally eaten along with the rind. A distinctive feature of this fruit is that it is has hard seeds embedded in a sugary pulp. The fruit measures around 4-12cm with a fragrance comparable to that of lemon. Guavas can be eaten raw or cooked; juices and jellies can be made from them. Read on to learn more about the health benefits and nutritional value of this wholesome fruit. 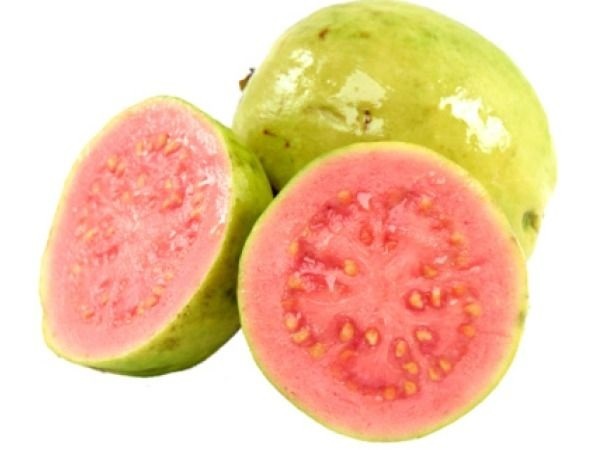 Guavas are native to Mexico, Central America and the north of South America. Historians indicate that these fruits were originally cultivated in tropical America, possibly Brazil, but were improved in the West Indies. At the start of the 16th century, the Portuguese introduced guavas all around the Pacific, until it reached the Philippines. A few years later, the Spanish brought this delicious fruit to India. Early Spanish travellers, in the 1500s, discovered the Strawberry Guava as a tree native to America. Records prove that Seminole Indians grew this fruit widely in Northern Florida around 1816. Gradually, it became popular and spread to other parts of the world. Since 1950, guavas have become a major subject of research in order to decipher the chemical identity of its constituents, pharmacological properties and its history in folk medicine. The fruit is now commercially cultivated in Southeast Asia, Hawaii, the Caribbean, Florida and Africa. Sweet guavas are excellent in treating dysentery and diarrhea. They have an abundance of astringents, which help in binding the bowels together. Hunger pangs lead to overeating which in turn results in constipation. Thus, consumption of guavas during this time promotes good digestion owing to its laxative content. Juices or decoction of guava leaves is helpful if you are suffering from the flu. Guavas contain Vitamin C and iron that are extremely beneficial in treating cold and viral infections. The delicious guava also renders a healthy and glowing complexion. They enhance the texture of the skin and prevent it from acquiring skin problems such as wrinkles and acne. Cholesterol and blood pressure levels are a common problem among most people around the world. Guavas help in minimizing blood thickening because of its richness in fiber and hypoglycemic nature. Ever thought of reducing weight in a healthy way? The guava is your answer as it induces roughage. Besides, this is a complete no-cholesterol and low-carbohydrate fruit. Guavas are wholesome Vitamin C foods that help in combating symptoms of scurvy. This fruit is beneficial for diabetics as it contains a low amount of natural sugar. 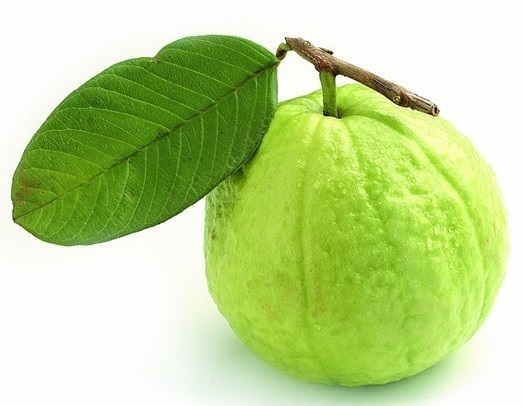 Guavas are thus important in controlling and lowering blood glucose levels. Guavas contain the cancer-fighting antioxidant, lycopene, which offers protection from this deadly disease. The juice of guava contains astringents that help in alleviating toothaches, swollen gums and ulcers in the mouth. Guavas have about 68 calories per 100 gm of weight. While buying guavas, you have to check if the exterior of the fruit is moderately ripe. Look for yellow, white or reddish ones. There must not be any bruises on the rind of the guavas since this indicates signs of over-ripeness. 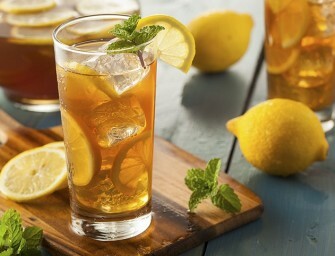 The last criterion is that the fruit should not be soft and delicate. It must be firm and hard to press. Once you have bought guavas, store them at room temperature and away from direct sunlight. Guavas can be stored for up to four days, if placed in an airtight plastic bag or storage container. If you desire to keep them for longer, freeze the guavas once in four days. 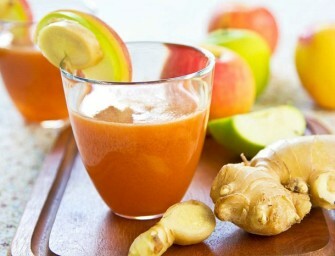 For this purpose, cut the fruit into small pieces and blend them well to make a puree. Transfer this to a freezer-safe container. In this way, guavas can be stored for almost 10-12 months.